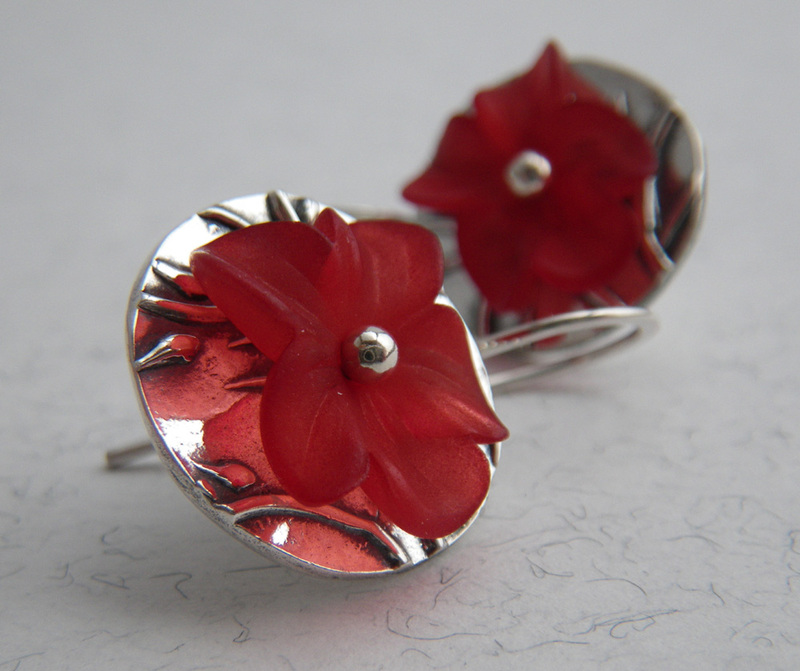 …of the Lucite and fine silver earrings from 2 days ago. When my friend Holly Kellogg asked about the earwires today, I took the opportunity to try for better photos of the earrings, and to show the backs as well. those photos are beautiful…so you balled it up, pulled it through and did a little twisty, and then up and over for the ear part? Once I got the shape I wanted for the ear part, I trimmed it, filed gently to get rough edges off, and hammered the curve part of the ear wire so it would work harden it to hold its shape. Took a little practice to get the twisty the way I wanted it. 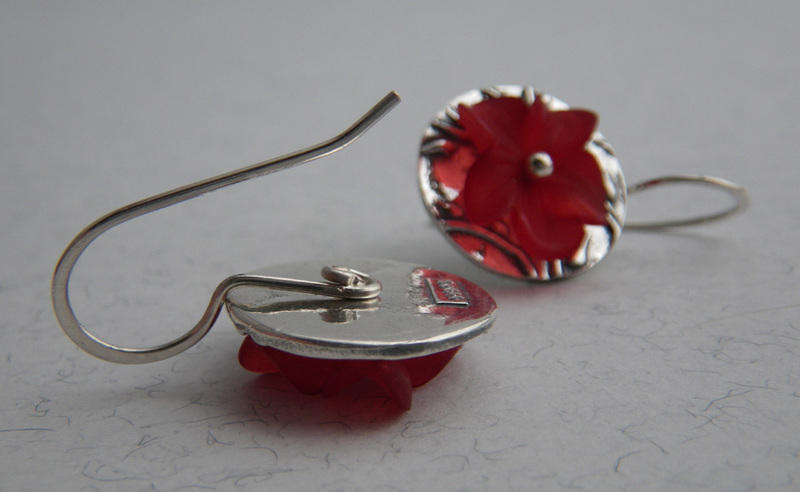 i should definitely start making my own earwires…. i’m always running out of them- you make it sound so easy! I forget, do you have a flex shaft? If so, you can get a nifty little cup burr to smooth the ends of the earwires. I have a feeling we’ll all be staying up late trading tips etc. this September! Is school out? Today was the last day for island kids. That is sheer perfection in every way. I’m inspired! Wow. Thanks Wendy! I hope you are going to post what you are doing with the bronze and copper clay. I can’t wait to see!